On a desperate search for her missing sister, Bridget Monihan is shot at and nearly blown up. With a target on her back and time running out, she appeals to a sniper and his black ops team for help. When someone driven by obsession counters their every move, Bridget plunges into an unfamiliar world in a last-ditch effort to save her sister. After a mission goes wrong, Fortress Security operative Trace Young stumbles across an injured woman in a Chilean alley. Following a harrowing flight to safety, he discovers Bridget's quest and his new assignment intersect. To save innocent lives, Trace and Bridget must take the fight into the heart of enemy territory. If the operation fails, Trace will lose everything, including the woman he loves. What a great story by Rebecca Deel, this has a great love story, is action packed & is fast moving. Love visiting with other couples. Can't wait for the next story. Fortress Security is a great series with lots of laughs and so sweet. Would definately recommend this series to read. 4.0 out of 5 stars4.5 Stars!! It was such a treat to find out this newest book was released by Rebecca Deel! I absolutely LOVE both her Fortress Security series as well as her Otter Creek series. These books can be read as a stand alone, but there are spoilers and they mean so much more when you have read the others. Each time I read a new one it feels like visiting friends, and I love to see characters from previous books. I really loved reading Trace’s story. 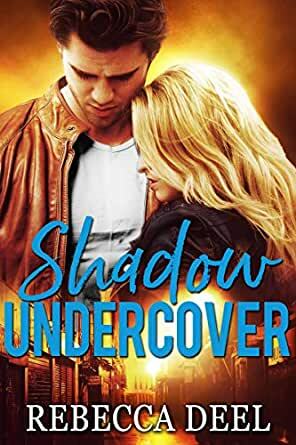 The last book had me more curious about him, and wow did his and Bridget’s romance have an incredibly fast-paced, action-packed, and dangerous edge to it! I loved how self-assured, strong, and witty Bridget was. She wouldn’t give up searching for her sister Ruth, even though the danger and obstacles were intense. Trace made a fantastic swoon-worthy hero, and I loved that although he was this huge scary sniper, he was fiercely protective of Bridget and constantly sacrificed to help save others. I am already dying for the next book in the series, and secretly hope it’s about Ben and a certain character from this one... we will just have to wait and see!!! I don't know how she does it, but Mrs. Deel continues to write great books. Strong alpha males and strong women who love them. The stories are action packed that keep you reading until the end. What is also great is that they are a clean read, but still gives you the intimacy between the main characters. It is fun to have her bring in other characters from her other books within the series and catch up on their lives. Can't wait for her next book! Keep them coming! I have really enjoyed the Fortress and Otter Creek series, each one was filled with dynamic and colorful characters and storylines. I get mad at myself for forgetting to write a review of my favorite author. This was an excellent read. Have read all of her books in both series multiple times. If you enjoy clean and powerful suspense, you will love her books. Of course, all are stand alones but personally, I love how characters often intermix within Otter Creek and Fortress. You can't go wrong with anything from Rebecca Deel. Trace meets Bridget, a Liberian, and trouble follows them. Great story, great characters, both new and old. It was nice to have some of the previous characters included. Will be interesting to see how Bridget is worked into future stories. A 5 star book with lots of action. Can't wait for the next one. Will it be Ben's turn?